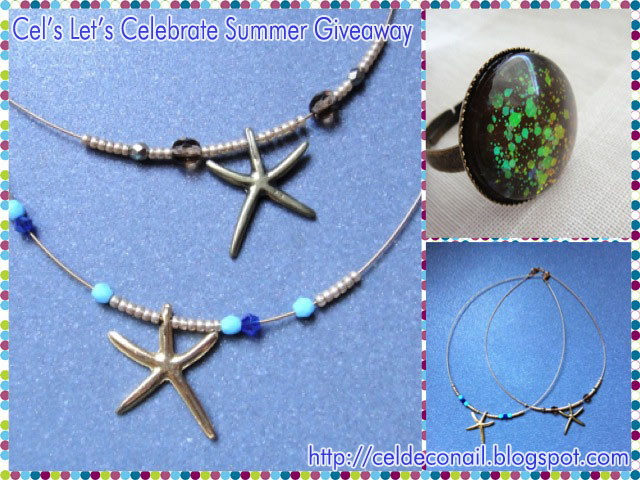 Let's celebrate summer, a review and a giveaway! I hope you are all having a nice day and that this post will make it nicer as today I have for you a review and a giveaway! Recently I have come to know the lovely Peggy that runs the Jewels by Peggy blog. She is a fellow crafter and makes really lovely jewellery so when she asked me to review some of her creations I couldn't say no. 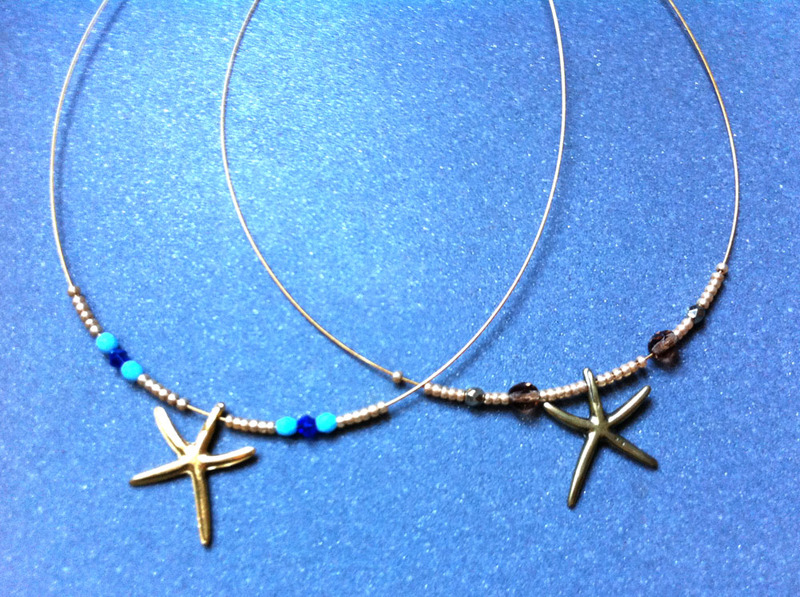 She was kind enough to send me two pretty starfish and beads necklaces in brass tones. 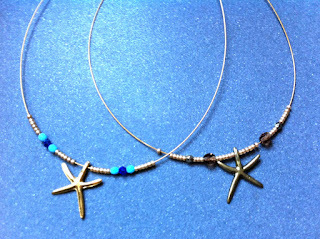 They are very pretty and perfect to wear for the summer be it the beach or a club you're going to. 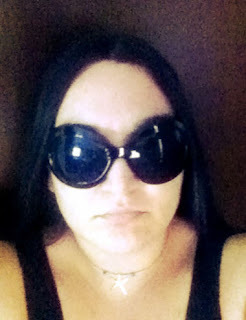 Here you can see me wearing the blue necklace. 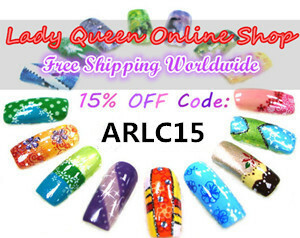 If you want more information on her creations you can check her blog or contact her on facebook. So here is the deal. I get to keep one of these beauties and the other one will go to one of you, my dear followers ^_^ I chose the blue one so the brown is up for grabs. And as I want to keep to the theme of my blog I also added one of my nail polish jewellery designed to match this lovely necklace. 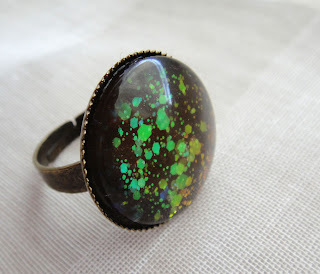 It is a lovely nail polish ring with chunky colour changing glitter. Οι δημιουργίες της είναι πολύ όμορφες!! Εύχομαι καλή επιτυχία σε όλες! Καλημέρα! !